Chronic pain is associated with poorer cognition and mobility, and fall risk in older adults. 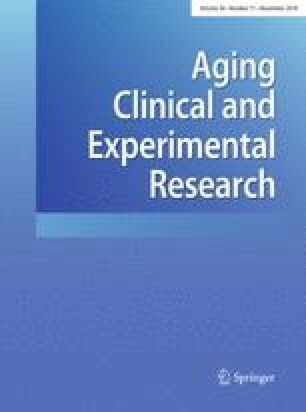 To investigate the feasibility of a randomized controlled trial of mind-body exercise (Tai Chi) versus light physical exercise in older adults with multisite pain. Adults aged ≥ 65 years with multisite pain who reported falling in the past year or current use of an assistive device were recruited from Boston area communities. Participants were randomized to either a Tai Chi or a light physical exercise program, offered twice weekly for 12 weeks. The primary outcomes were feasibility and acceptability. Secondary outcomes included pain characteristics, cognition, physical function, gait mobility, fear of falling, and fall rate. Of 176 adults screened, 85 were eligible, and 54 consented and enrolled (average age 75 ± 8 years; 96.30% white; 75.93% female). The dropout rate was 18% for Tai Chi and 12% for light physical exercise. For those completing the study, exercise class attendance rate was 76% for Tai Chi and 82% for light physical exercise. There were no significant group differences in most secondary outcomes. Tai Chi significantly lowered pain severity (4.58 ± 1.73 to 3.73 ± 1.79, p < 0.01) and pain interference (4.20 ± 2.53 to 3.16 ± 2.28, p < 0.05), reduced fear of falling (90.82 ± 9.59 to 96.84 ± 10.67, p < 0.05), and improved several single-task and dual-task gait variables, while light physical exercise did not change these measures. This study demonstrated the feasibility and acceptability of conducting a larger randomized controlled trial in older adults with multisite pain. Study findings and challenges encountered will inform future research. We thank HELP study participants for their engagement in this research. In addition, we thank the directors and staff of the University of Massachusetts Boston Health Services and community agencies who provided valuable support to our project. We thank all research assistants and students who worked on this project. This work was supported by the National Institute of Health (R21 AG043883). Peter Wayne, one of our research consultants, is the founder and owner of the Tree of Life Tai Chi Center. He was consulted on Tai Chi design and manuscript preparation. The authors declare no other conflicts of interest.